In response to last week’s article (Pattern Breakout Entry Before the Breakout), I received an email from Francis who was sick of seeing winning trades and said he’d love to see some that lose. This sequence occurred just a bit later in the same session. Not every trade is a winner! 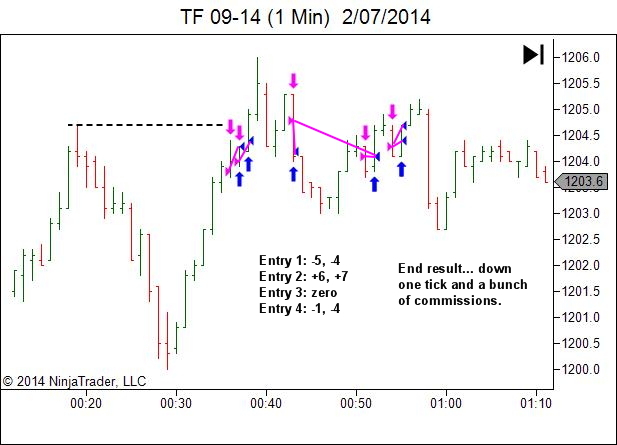 And not every sequence of trades is a winner! But we don’t aim to profit on any one particular trade. 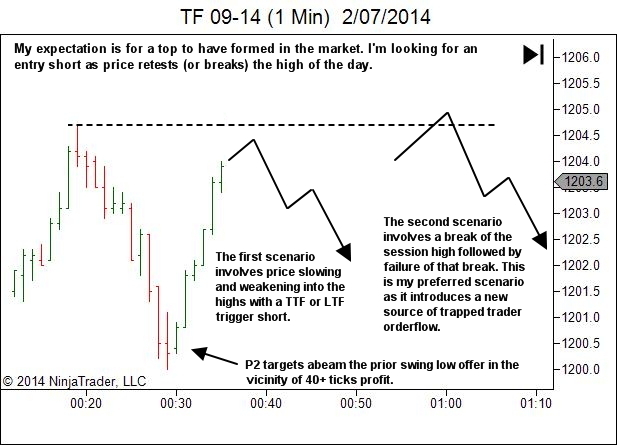 Profits are made over a larger series of trades. Really, while some of my decision making was not the best, this sequence was ok. The loss is minimal (one single tick plus commissions). More importantly, it was three attempts to enter short at the high of the day, with an expectation that price could drop for a 5 or 6R return. This is an attempt worth taking. Maybe next time I’ll get the winner, which will more than make up for my single tick plus commission loss. Losses should be rather boring like this. Keep them small. Allow yourself to profit over the longer term through ensuring your average win is greater than your average loss. Lance, I can’t express how important it is for me to know what is acceptable in regards of losses, break even or small win trades. This has been a question I’ve asked many times before but never received a true picture or answer from a ‘successful trader’. 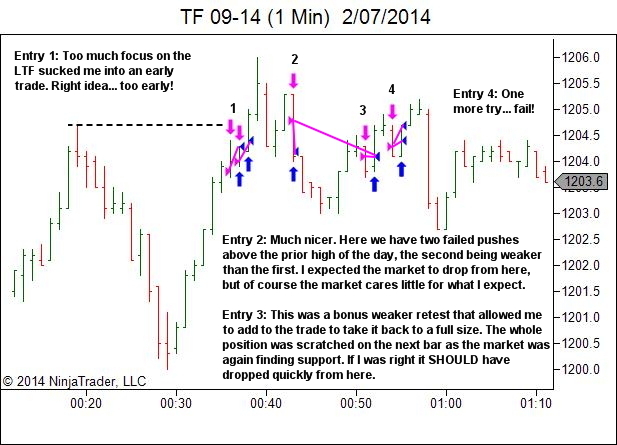 This post and the links that go with it have filled a large gap for me in my trading journey. I thank you once again! Thanks Roy, I’m glad the article has helped. One of the primary challenges we face is in learning to take losses. In some respects it’s just something we need to learn over time as we gain experience and exposure to risk. But certainly, more articles like this one will be of great value. I’ll add a note to my planner to consider more articles on this topic in future.